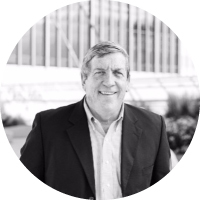 Bill McCabe spent his early career as a CPA with a major accounting firm. What he learned from accounting is that he didn’t want to spend his whole life doing it. That knowledge engendered a change of address from the accounting firm to a marketing and public relations company. Bill found his niche in recruiting and consequently spent the last 19 years in IT recruitment, in particular in executive search helping candidates and hiring managers in the software and professional services industry. To say that he is uniquely qualified to know the kind of candidates that major companies are looking for is a mild understatement. Crossing over to IoT, a field about which he knew a great deal and wanted to know more, Bill became very passionate about IoT and big data, making it a point to learn the past, present and future of the arena. In IoT, Bill found his real space in life. Candidates he places are among the top 5% in their field and are top producers for their new companies. Bill loves what he does and takes infinite pride in putting together the right candidate with the right company. He has been applauded and lauded as one of the top fifty Twitter influencers in IoT, landing at number 17. Named an BM IOT Futurist at IBM INterconnect as well as IOT Emerge in Chicago in Sept 2016. Never one to rest on his laurels, Bill was invited and will speak at Internet of Things World in May 2017. Bill is also a renowned blogger and guest blogger for such high impact companies as IBM. Key clients he has handled include JDEdwards, Oracle, Peoplesoft, MessageMedia, and IBM Global Services, Deloitte Consulting, Accenture. I am a CPA by trade, specializing in executive search for 20 years mostly focused on software and professional service firms. I got involved with IBM on some IOT Searches and continued to learn, explore, read, study and focus more on IOT as a new niche. Since then I have been working on the Internet of Things and Big Data. Artificial Intelligence and the affect it will have on the labour force and the future of work. Big Data and it’s potential use and misuse. IOT and healthcare and the future prospects. I like to review Richard Branson / Bill Gates/ Guy Kawasaki on Linkedin on topics of business, technology, goal achievement, etc. Sigfox, AT&T, Google, Apple, Samsung, Bosch. I would be happy to collaborate on podcasts, white papers, webinars, speaking opportunities, etc.